From architects and law firms to engineering and construction companies, many businesses across the UK are extremely ‘eco-active’ and now the efforts of the very best have been recognized following a countrywide search to name the UK’s Greenest Office. Cartridge Word, in partnership with carbon offsetting company, co2balance, announces the Overall Winner of the Cartridge Word’s Greenest Office competition is the Greenshop Group, a sustainable technologies company in Bisley, Stroud, Gloucestershire. Open to all companies across the UK, the competition searched for the office that could best demonstrate its green credentials through ‘green’ and energy-saving activities. Five regional winners were chosen and from these one overall winner was selected. The regional winners were Element Detailing Ltd, Newark, Minuteman Press, Stockport, Harmsworth, Townley&Co Ltd, Todmorden, Lancs, Lanyon Bowler, Telford, and the Greenshop Group. The Greenshop Group is one of the UK’s longest standing eco-retailers and has been pioneering sales of environmental products for over 20 years. The company beat off stiff competition to scoop the Overall Winner’s prize, which included a Toshiba laptop, a year’s supply of Cartridge World printer cartridges, and the Cartridge World Greenest Office winner’s trophy and certificate. In addition the company will also receive a carbon emissions offset service from co2balance. Each regional winner receives a colour laser printer, a Ricoh R50 ten mega pixel digital camera and five energy saving USB Intellipanels for computers and laptops from OneClick Technologies. Cartridge World, in partnership with carbon offsetting company, co2balance, launched The Greenest Office Award in September 2009 to find the number one company that can best demonstrate ‘green’ practices and energy saving activities. The competition underpinned Cartridge World’s commitment to the environment. 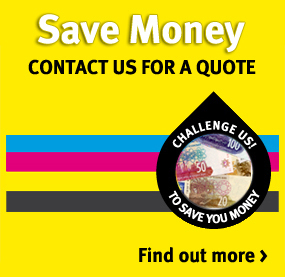 Cartridge World provides the ‘green’ alternative to buying replacement inkjet and laser printer cartridges, preventing empty cartridges from being thrown needlessly into landfill, where over 45 million are sent annually in the UK*, each taking up to 1,000 years to decompose**.